I freaking love the Royal Rumble match. Us wrestling fans have gotten pretty good at predicting when and where certain things are going to go down, but there’s one night where we’re all kept on our toes, a night where WWE love to throw a few curveballs our way. The Royal Rumble is the perfect opportunity for a nostalgia trip, a huge debut, or to generally make an impact amongst the main roster. Last year, we saw the main roster debut of Tye Dillinger, along with a trio of rare, in-ring cameos from Goldberg, The Undertaker, and Brock Lesnar. Who could we possibly see enter the fray this year? Well, let’s take a look at a few potentials. The UK Champion has had a fantastic year both in and out of the WWE. “The Bruiserweight” has certainly made his presence felt down at Full Sail, putting on show stealers on more than one occasion, but has yet to truly make an impact on the main roster. A one-night stand with Monday Night Raw back in November surprised the world; suggesting that Dunne might be bringing his snarling self to the 205 Live roster to compete with Cruiserweight Champion, Enzo Amore. But he has since gone dark, remaining a prominent member of the global independent scene. So, what better time than the Royal Rumble to make his main roster return and kick-start another successful year for the UK Championship division? Pete Dunne is quickly becoming a household name for WWE fans, so an appearance at the Rumble would not be unwelcome. The UK Champion would definitely be considered a threat among the already stacked line-up. I for one would love to see “The Bruiserweight” take British Strong Style to such a grand stage and mix it up with some of the biggest names in professional wrestling. Probably the most unlikely of potential surprises, but cast your minds back to the first NXT TakeOver: Brooklyn event, when Jushin “Thunder” Liger crossed over and made his very first appearance in WWE. Liger is a certified global superstar, someone that has made a name for himself in almost every promotion and continues to be an attraction in NJPW. Often found lingering about in multi-man matches, Liger would be the ideal superstar to show up for a five-to-ten minute run in this year’s Royal Rumble. If anything, Liger could come to represent the growing popularity of Japanese wrestling. Despite what some would believe, Vince McMahon is very aware of everything external to WWE, and if this past year is anything to go by, he should consider NJPW a viable contender to his juggernaut. It’s about time he gives them the respect they’re owed by granting one of the most prominent stars of the scene a chance to shine in the Rumble. Perhaps this is far too optimistic, but it would be a welcome treat for the more well-versed fans in the crowd. Someone that I’d happily put money on to be a surprise entrant this year would be “The Future of Flight”, Ricochet. As I’ve discussed in a previous article, I believe that Ricochet is far too established to spend time in NXT. He’s one of the biggest names from the independent scene and is someone that, quite frankly, the main roster is in desperate need of. Ricochet would suit the 205 Live roster perfectly and provide the show with some much needed star power to bring in viewership. So, what better time than the Rumble to bring him in and display his crazy athleticism? AJ Styles made his debut at #3 in the 2016 Rumble match. Though I doubt Ricochet would evoke the same reaction Styles got, it proves that WWE are willing to throw in such a huge, history-making moment as part of their annual extravaganza. It’s no secret that Ricochet is on his way to the big leagues and is set to start his contract towards the end of January. The timing is almost too perfect. The artist formerly known as “The King of the Cruiserweights” has become a wrestling hermit as of late, with nobody truly in the know about his status with WWE. 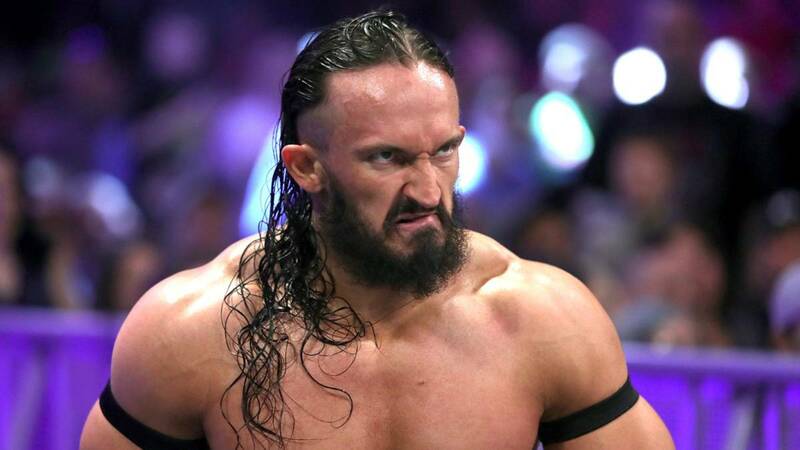 Usually, after a month or two of contract disputes, someone manages to figure out what the superstar’s intentions are, yet here we are with little-to-no evidence on what Neville is planning to do with his career. WWE talent still seem to speak of him in high regard and his notice of release has yet to hit social media, meaning there’s still plenty of opportunities for him to make his return to the main roster. Silence can only mean good things, right? Maybe there is a plan in place for his return to Raw as part of the expanded roster, as opposed to just the 205 Live one. Neville was undoubtedly one of the best heels of 2017, single-handedly giving people a reason to care about the ailing cruiserweight division. Even though his reign as champion may have ended on sour terms, it’s hard to deny that WWE needs him right now. The Royal Rumble would be a perfect time for WWE to revitalise Neville and bring him in as an anti-hero against some of the heavyweights confirmed for the match. The rumour mills love to run wild around the time of the Royal Rumble. This time last year, everyone was convinced that we’d be seeing the debut of one Kenny Omega as part of the 30-man melee. Of course, that wasn’t to be; but this year, the majority seem dead-set on the idea of Rey Mysterio making his WWE return as part of the Rumble match. Rey has been fairly open about his relationship with WWE, often remarking about the positive exit he had. He would be more than happy to return and possibly finish his career with the company that gave him his biggest break. Mysterio has found much success from competing with the likes of Lucha Underground, CMLL, and AAA Mexico, giving his career the revitalisation that it sorely needed after being run down by the demanding WWE schedule. Now that Rey seems to be in the best shape of his career, it would make sense for him to jump ship this January. Not only would he be a massive draw for the 205 Live division, but he could finally be the means to getting certain cruiserweight stars over with the mass audience. All it takes is one fantastic match for a wrestler to be remembered, and if anyone can bring that high-flying excitement out of of them, it’d be Rey Mysterio. Having Rey hit a few 619s as part of the Rumble this year would make for an incredible moment, something which a man of his legendary status more than deserves. No matter who we see as part of this year’s Rumble, we’re guaranteed a stacked main event. With such huge names as John Cena, Roman Reigns, Shinsuke Nakamura, and Finn Bálor already confirmed for the 30-man match, this could potentially be one of the most unpredictable and exciting Royal Rumbles of this era. Who would you like to see as a surprise entrant this year? Let us know in the comments below.